Original Mac Edition NVidia GeForce GT 120 mit 512 MB Ram. 1x Mini DisplayPort und 1x DVI. Kompatibel zur Mac Pro Serie 3,1 - 5,1 (2008-2012). Genuine Mac Edition NVidia GeForce GT 120 with 512 MB Ram. 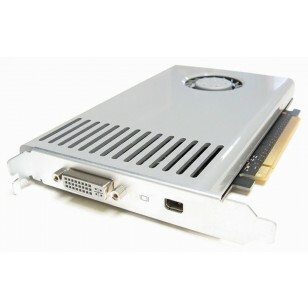 Compatible to Mac Pro 3,1 - 5,1 (2008-2012). we can deduct the german VAT 19% from the total price.